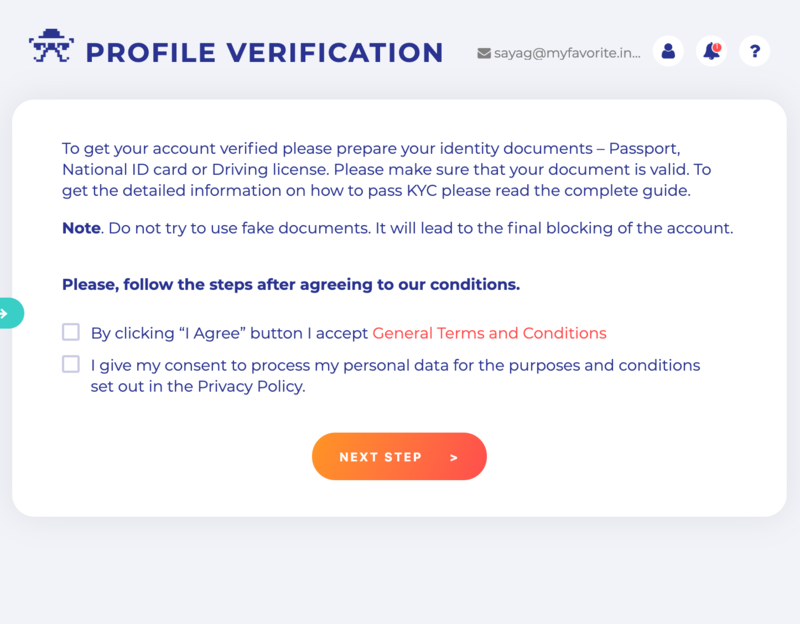 How to pass KYC (Know Your Customer)? 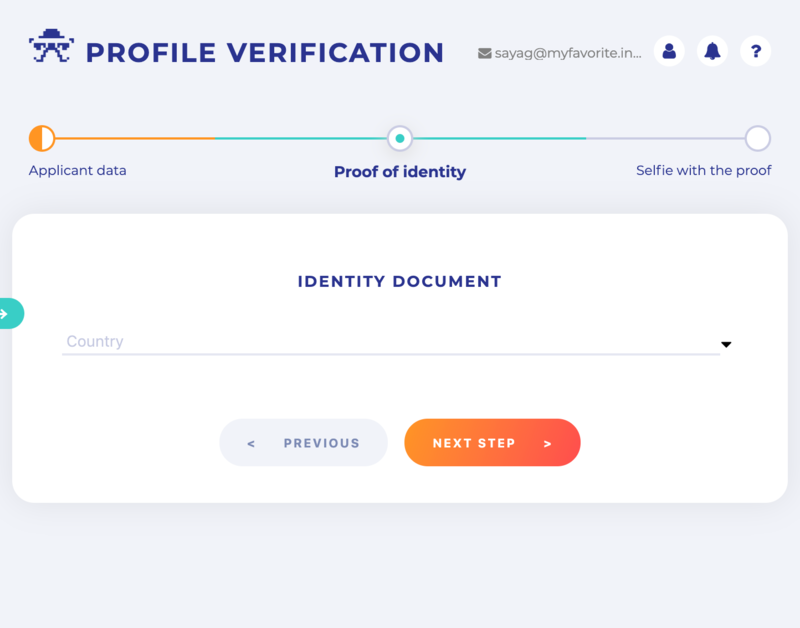 Financial services ask their clients and investors to use only real data and verify their identity with documents, following the KYC/AML requirements of the international regulators. 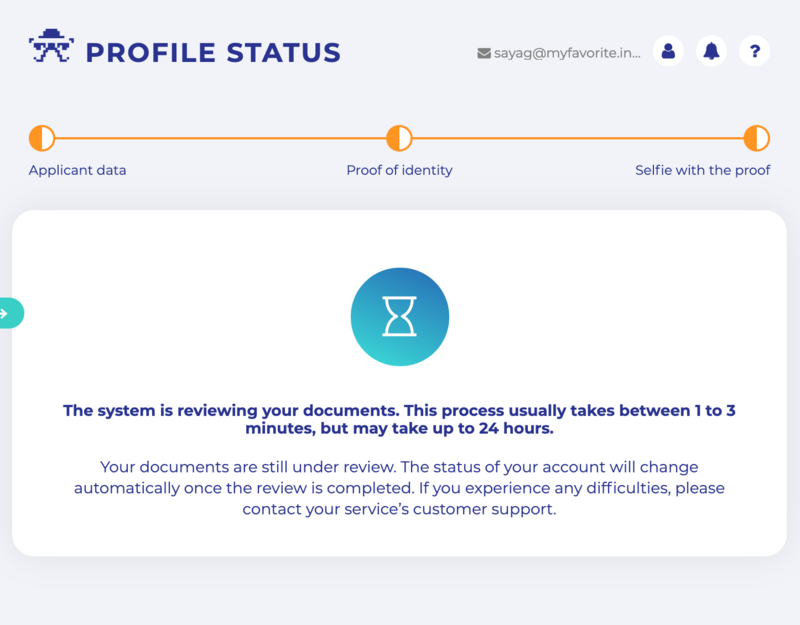 Below you can find a step-by-step guide on how to pass KYC with the main stages of validation process and the description of the most common mistakes – everything to help you pass the Know Your Customer procedure as quickly and simply as possible. Click "Start" and follow the instructions on the screen. 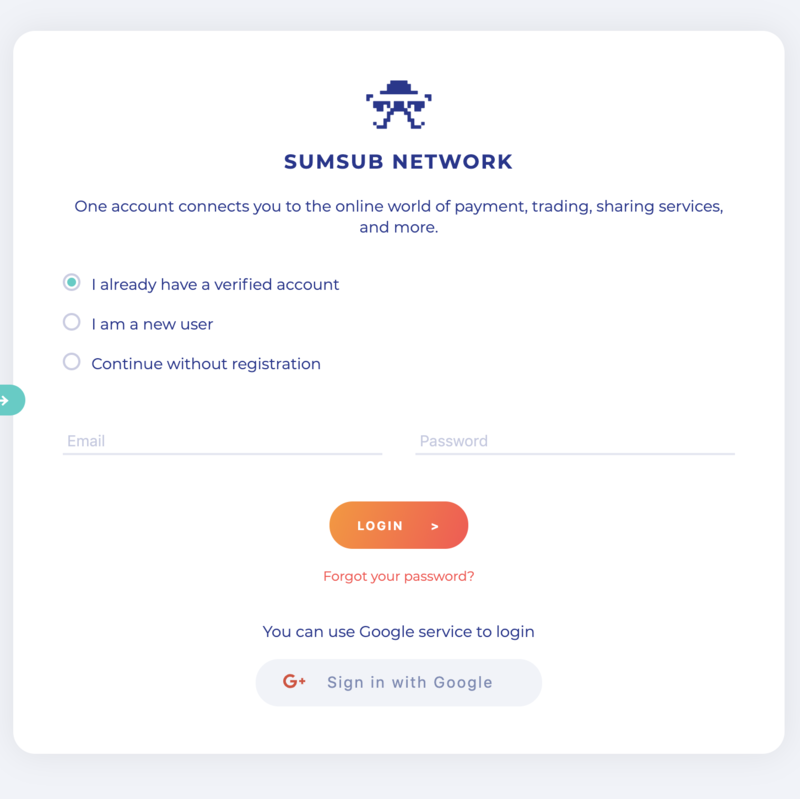 First, you will have to login to the system or create an account. Prepare your documents and proceed to the next step. 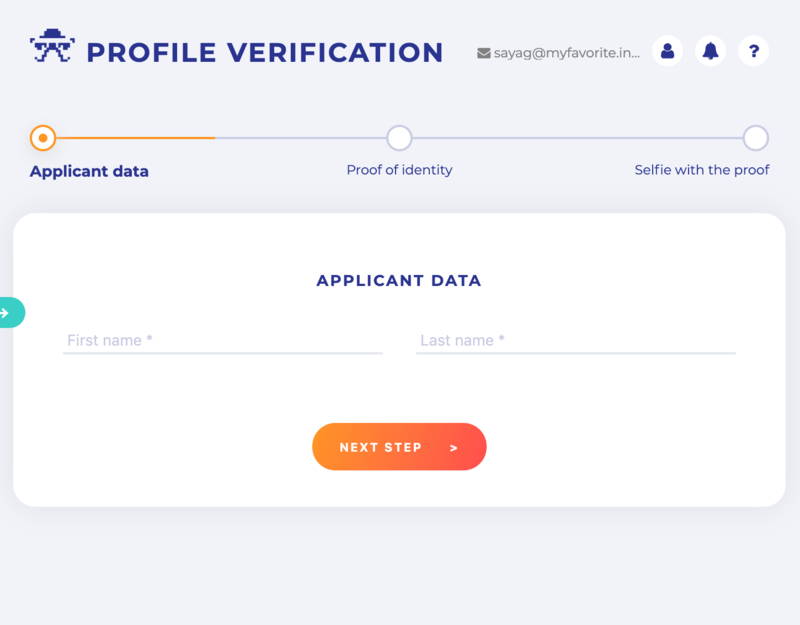 Second step is for the applicant to enter first and last name and proceed to the proof of identity. 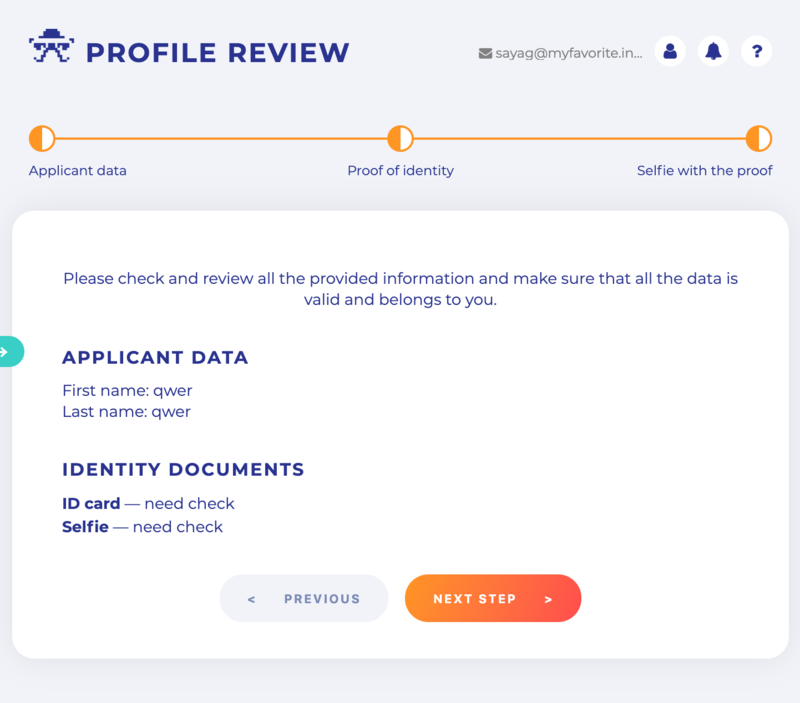 According to the international Know Your Customer standards you can verify your identity with any official government document — ID-card, passport or driving license. After taking a photo of your document, please send us the pictures, using the form. Then, choose your ID type. 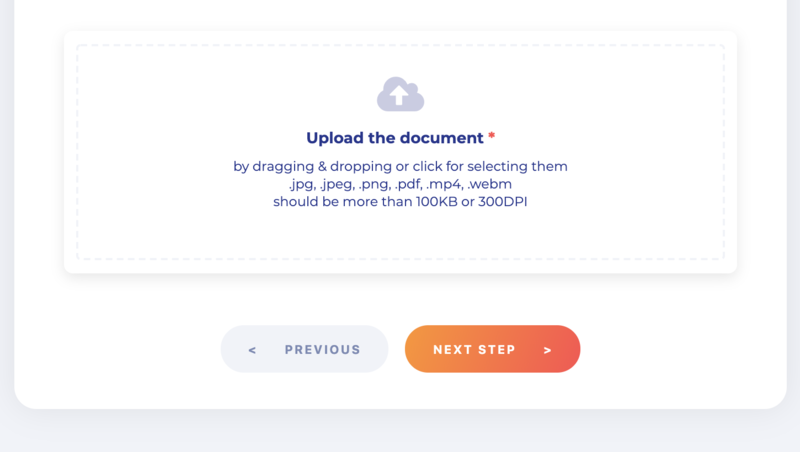 Upload the photos of your document. All corners of the document should be visible in the photo. The text in the document should be easy to read. Make sure there are no highlights and stains on the photo. Low quality pictures won't be accepted by the system. 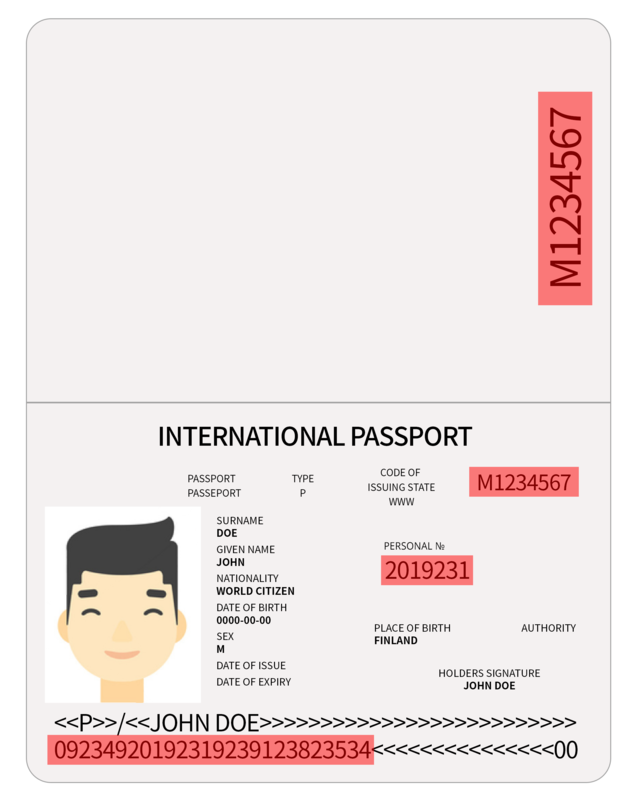 If your document has two pages or two sides (for example, a US ID-card or a CIS passport), both sides / pages must be attached. The document must be valid for at least a month. An expired document won't be validated. The system doesn't accept documents corrected in the graphic editors. 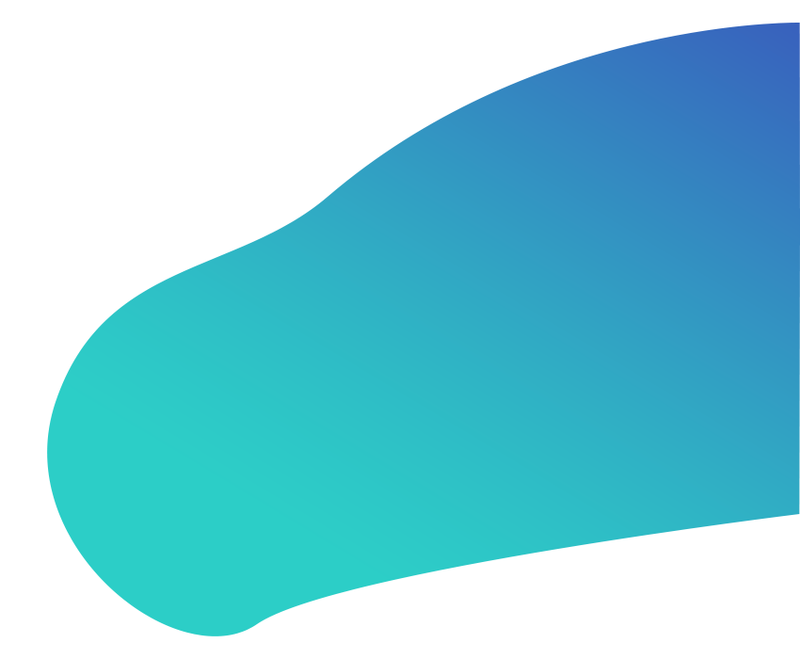 We accept JPEG or PDF files no less than 500 KB. In some cases, the document has to have Latin transliteration as the system doesn't accept Arabic ligature. 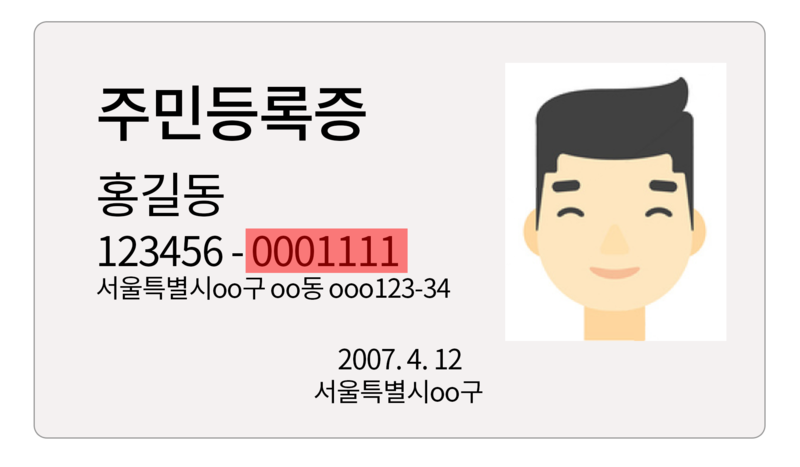 Please carefully cover all sensitive information as it shown below in red (do not edit photos digitally, please use only physical objects such as sticky notes). Now we need your selfie picture with the same document. That's how we can confirm that the document belongs to its owner. At this stage the system will not accept a photo of the document, without the owner in the same picture with it. 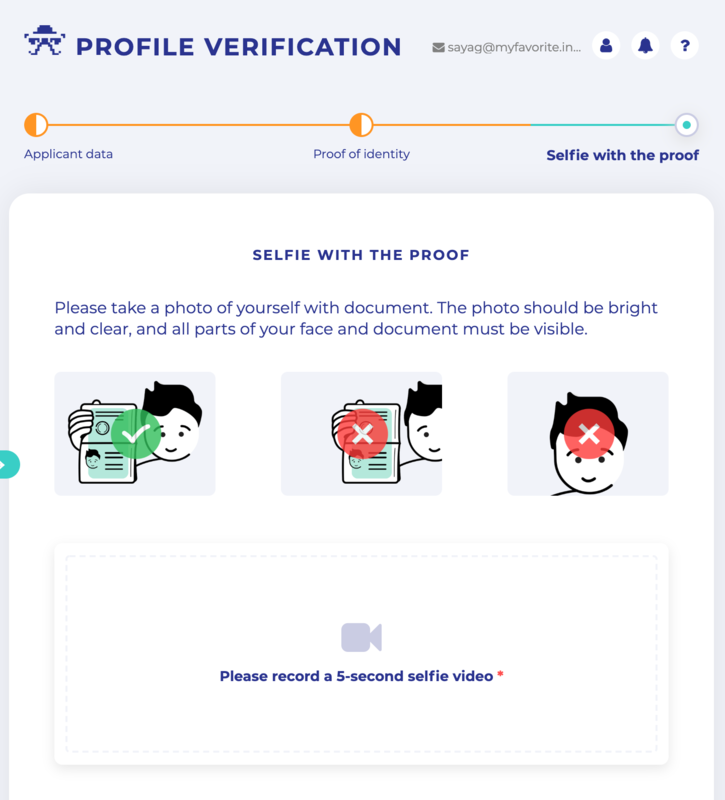 Your face should be visible both, on the selfie and on the photo in the document, so that the algorithm can correctly identify the features. The photo must be of a decent quality, so that the text on the document is readable. Then we also ask you to record a quick 5-second video of yourself. If you attach utility bill or bank statement, they must be issued within the last 3 months and printed on the official form. 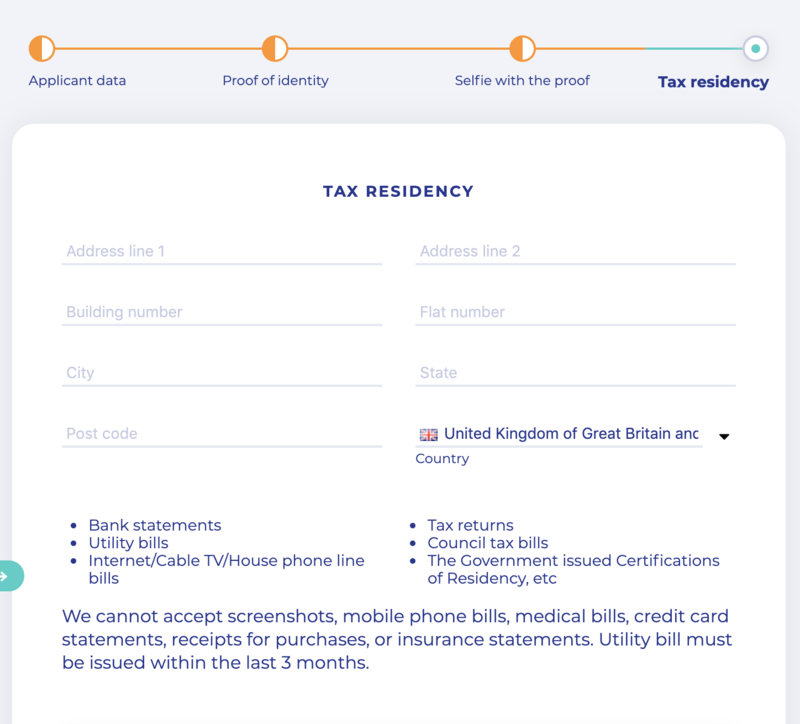 We need to confirm your residency address; the system doesn't accept addresses of legal entities or relatives. Your document must contain the full name (as in the ID), the owner's address and the date of issue. The system doesn't accept documents in ligature without Latin transliteration. If your document is fully in Arabic or another language with ligature, you have to make a notarized translation in English. 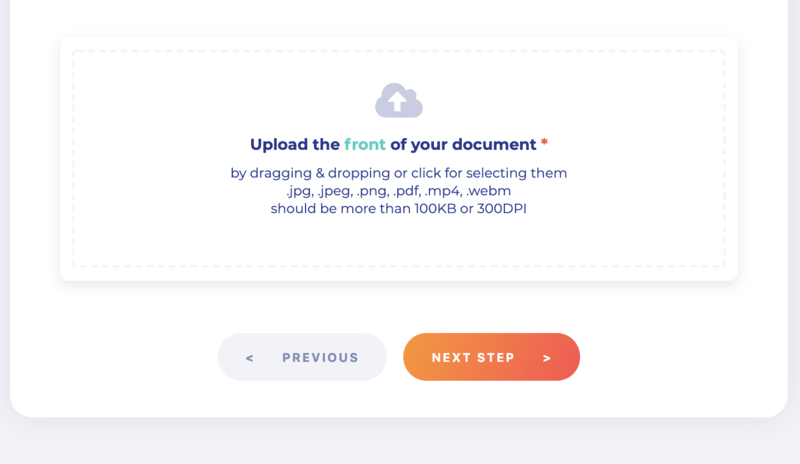 You must provide a photo of the whole document. None of the banks or regulators accepts pieces of the documents. And so don't we. 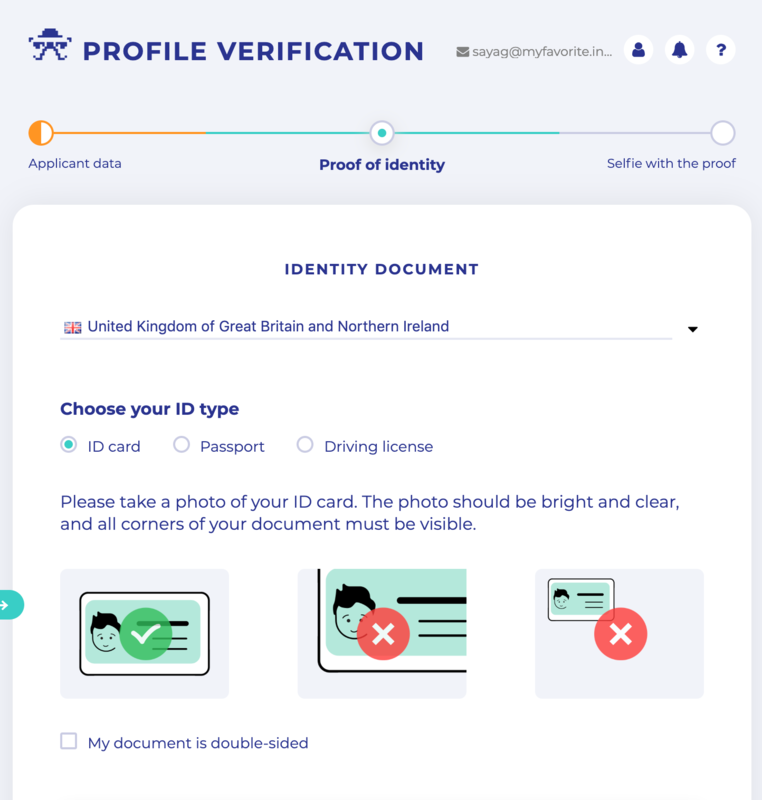 If your address is stated in your passport or driving license, you will not be able to confirm your identity and place of residence with the same document. 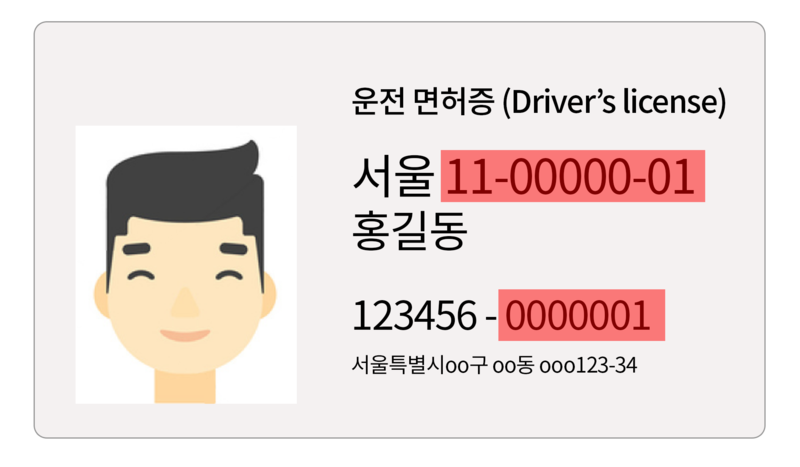 In this case, use another document at the identity check stage — driving license, another type of the passport or ID-card. 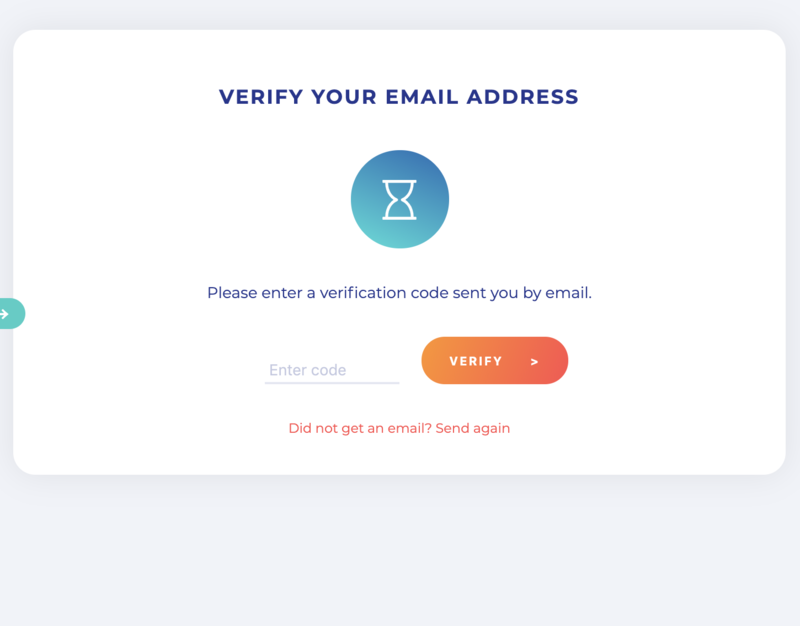 When all the information is submitted we kindly ask you to check it one more time for any mistakes. If everything is correct, the only thing left is to wait for our approval. 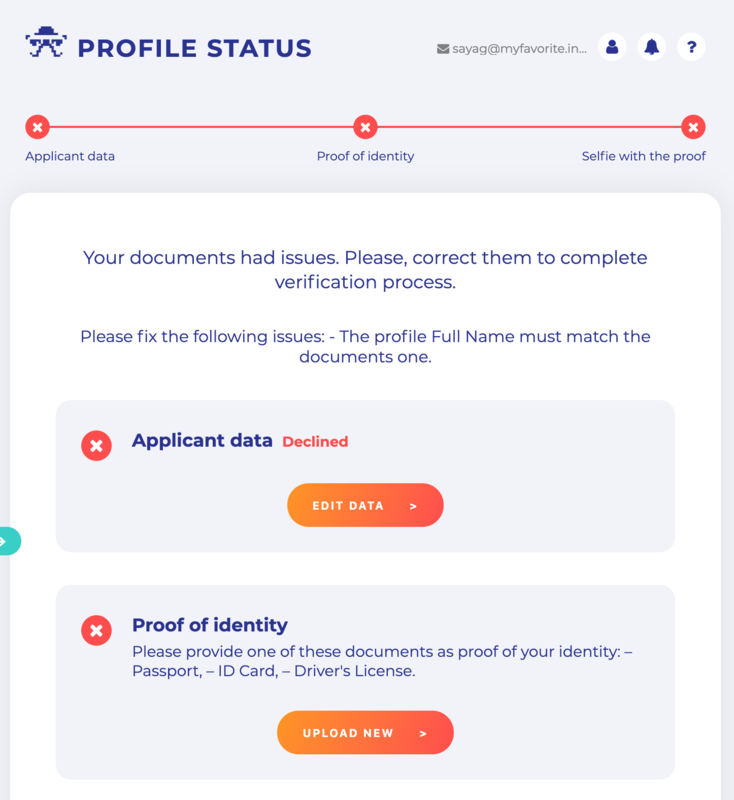 Make sure that your profile data corresponds with the submitted documents that are clearly visible to avoid issues. Otherwise, your application will be declined.